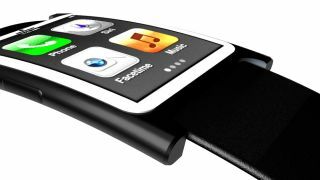 iWatch still more than a year away? Apple is targeting top talent to speed along the development of the iWatch smart watch, but the project is still not certain to get an official launch, according to the Financial Times. Sunday's report said the wearable iOS companion isn't scheduled to be launched until late 2014, but Apple CEO Tim Cook may still decide to pull the plug if not convinced by the merits of the device. An FT source claimed the hiring spree is to help with "hard engineering problems that they've not been able to solve." The report boldly claimed that Apple's "aggressive" targeting of outside talent raised doubts over the ability of Apple's in-house engineers to get the job done. Does Apple have what it takes? Apple, which has already applied for the iWatch name trademark in several countries, now has "several dozen" people working on the project, according to the Financial Times. The report claimed the device which would be Apple's first major new product line since the passing of Steve Jobs, is important to the company's financial future as it will help convince Wall Street the company still has what it takes in the innovation department. Did the iWatch already appear in an Apple ad last month?